Camera-ready, 10 page submission in Extended Abstracts Format. Additional description of how the work will be presented at the conference. Optional: 5 minute video figure. At the conference: Accepted alt.chi submissions will be presented in designated sessions at the conference. 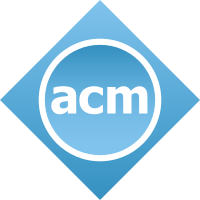 After the conference: Accepted alt.chi submissions will appear in the Extended Abstracts proceedings in the ACM Digital Library. alt.chi is a forum for controversial, risk-taking, and boundary pushing presentations at CHI. The CHI program committee formed alt.chi to act as a forum for innovative and insightful work that can go unrecognized through the standard review process. Contributions to alt.chi often innovate methodologically, critique accepted practices, or take on controversial questions. Moreover, alt.chi presentations are often innovative in format as well as content, and we wish to encourage authors to consider how they might present their work in alternative ways. Previous years have seen alt.chi contributions presented through theatre, carnival, music, poetry, and graphic novels. As contributions to alt.chi are often challenging and unusual, since 2014 they have benefited from reviewer commentaries. Where appropriate, reviewers may be asked revise their work as a short commentary to be published with the alt.chi submission and optionally presented in person following the authors’ presentation at the conference. These commentaries serve to amplify and enrich alt.chi presentations of provocative work. The vast majority of CHI Papers are inherently inappropriate for submission to alt.chi. In other words, work that can conceivably be accepted to the full papers track is entirely inappropriate for submission to alt.chi. alt.chi 2019 should be viewed as an opportunity to re-shape the conversation by introducing a vibrant intellectual community to a new way of doing work, unconstrained by traditional conference/paper formats. alt.CHI returns to an open review Juried format for 2019. An alt.chi submission must be submitted via the PCS Submission System by January 7th, 2019 (12pm (noon) PST / 3pm EST / 8pm GMT). CHI 2019 is using a new version of Precision Conference System (PCS 2.0): https://new.precisionconference.com/. Please note that you will need to create a new login/password for this system. The alt.chi submission must include an Extended Abstract and may also include a 5-minute video figure. The submission form will ask you to provide a description and justification of the method by which your alt.chi work will be presented at the conference. Submissions that thoughtfully link the content of the submission to a specified presentation format will be highly valued by the review process. Because alt.chi is intended as an alternative space at the conference, we strongly encourage authors to propose something other than standing and talking to a deck of Powerpoint slides. We welcome completely fresh submissions tailored to the specific goals and values of alt.chi. It is traditional, however, that authors of highly discussed papers that are submitted, but not accepted into the CHI Papers track may be invited to submit their work to alt.chi. In these cases, authors will be asked to submit a brief argument as to why they believe their submission will be a good fit for alt.chi. Like many tracks at CHI, your alt.chi submission may include a short digital video figure or interactive illustration that is up to five minutes in length and no more than 200 MB final data size. Because not everyone who reads the submission may view the video figure or attend the presentation, your submission must stand on its own without the figure, and will be reviewed as such. Some guidelines for creating video submissions can be found at: Guide to a Successful Video Submission. How well the work embodies alt.chi’s values of creativity, criticality, reflection, and originality. How coherent the work is conceptually, philosophically, and methodologically. How well the proposed presentation format suits the content of the submission and how likely it is to engage people at the conference. The extent to which the work expresses a voice and argument unlikely to be heard in the Papers track. The nature of the discussions that the submission provokes among reviewers. Submissions should not contain sensitive, private, or proprietary information that cannot be disclosed at publication time; nor can submissions contain text of prior CHI reviews. Submissions should NOT be anonymous. However, confidentiality of submissions will be maintained during the review process. All rejected submissions will be kept confidential in perpetuity. * all reviewers will be required to consent to a review agreement prior to participating in the selection process. All alt.chi prospective authors with a paper submission will be expected to review at least two papers submitted to the conference during the review period. Please volunteer to review if you haven’t already. To do this, visit the volunteer page and select SIGCHI CHI2019, and enter a number of reviews for alt.chi. You will then have access to the “bidding” page. You will see a list of all available titles and abstracts. For any you wish to review, please select “want” or “willing”. You can bid on more papers at any time during the review period. The chairs will assign you every paper you bid on, unless particular papers are oversubscribed. This is not automatic but is done regularly. You will receive an email confirmation when a paper is assigned. Once assigned, you will have access to the submission, and any existing discussion and reviews through your reviewing page. The deadline for reviews is 21st January 2019. However, as reviews are open, we encourage you to submit as soon as possible, to allow for discussion among the other community members. You may revise your review until 21st January. Authors will be notified of acceptance or rejection by 1st February 2019. Final versions of accepted alt.chi Extended Abstracts must be uploaded to Precision Conference System by 8th February 2019. All accepted alt.chi submission will be presented orally in designated sessions at the conference. Accepted alt.chi submission will be distributed in the CHI Conference Extended Abstracts, available in the ACM Digital Library, where they will remain accessible to thousands of researchers and practitioners worldwide.